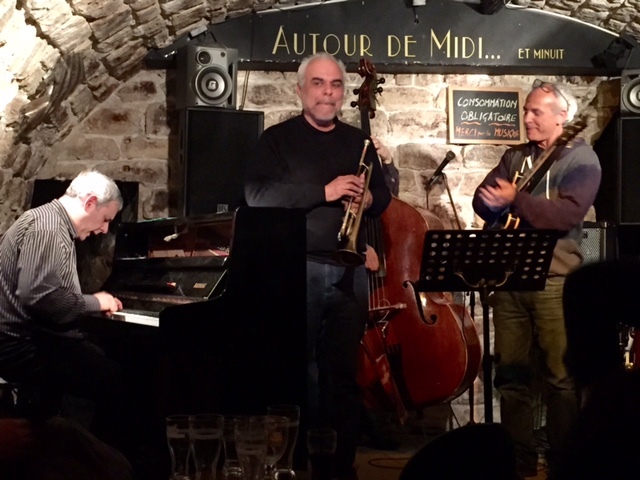 Paris’ premiere jazz venue, regularly hosts some of the legends of jazz and rising international stars. Superb acoustics, cozy setting and reasonably priced drinks make this a excellent locale for jazz afficionados. Two shows nightly at 8PM and 10PM. Tickets are available on-line [typically 30-40€.] - be sure to specify which time slot. On Friday & Saturday after the last show they have a free Jam session [1 drink minimum] that lasts...until its finished!!! Great local club at 11 rue Lepic http://autourdemidi.fr/. Tuesday nights have a free jam session [boeuf] that is free as are many other concerts. Upstairs is a reasonably priced restaurant.